Infrared heaters with an elegant design and maximum heat efficiency. SERIE 9 is equipped with a special “WHITESCREEN” glass that eliminates up to 95% light emission. It can be controlled remotely via app using bluetooth technology. 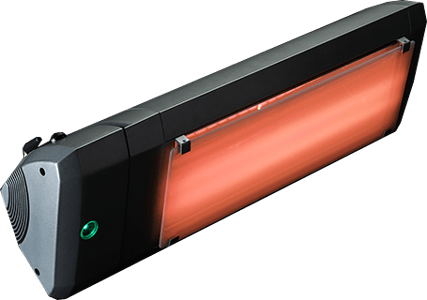 Infrared heaters for industrial use. Heats workstations only, without dispersion, and allows for up to 70% savings on heating costs compared to traditional electrical and gas systems. 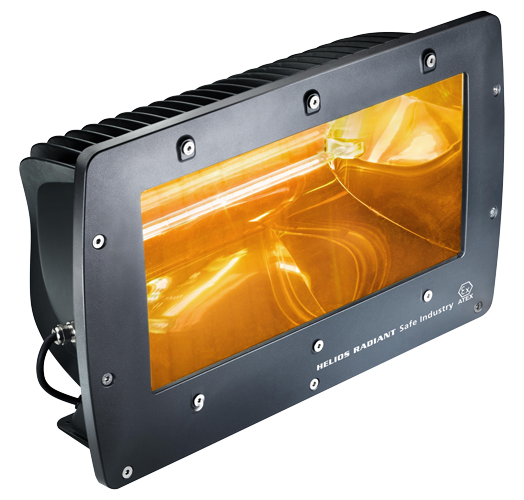 Helios Radiant Safe Industry, designed for use in ATEX environments. Designed with top-quality materials and finishes, the OASIdehor multi-system, can be used to create elegant, customised outdoor areas. 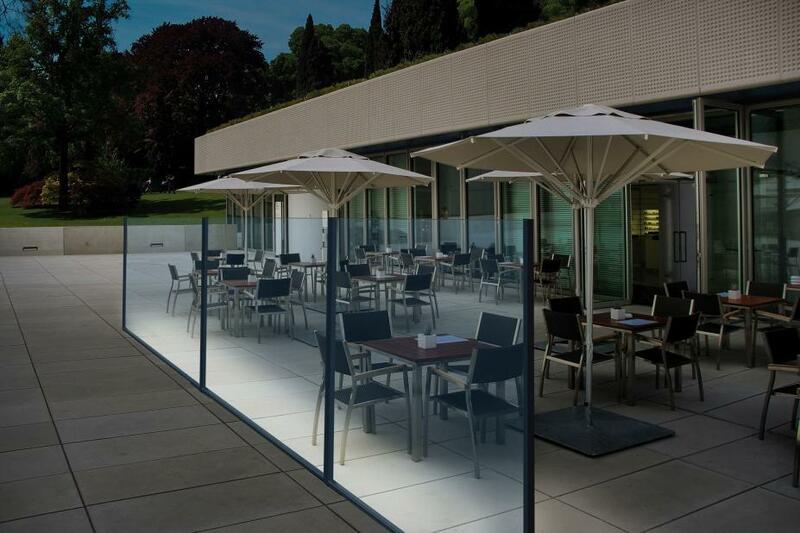 TOTAL VISION, the modular system for an open, transparent and elegant outdoor space. 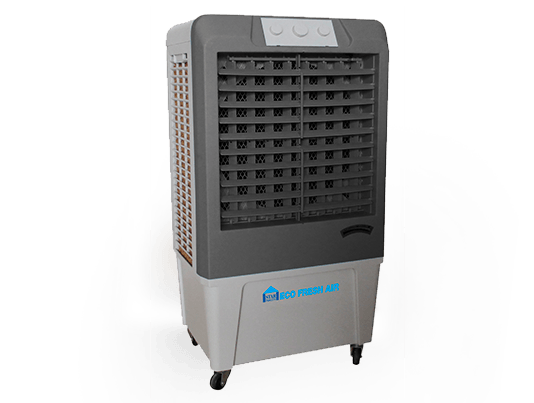 Star Progetti evaporative air coolers are ideal for cooling open or semi-open areas that cannot be reached by air conditioning systems because of dispersion and high running costs. The Star Progetti solution for preventing cases of hypothermia during first aid operations. Ergonomic, easy to handle, safe for the operator and specifically studied to transmit heat immediately. Since 1997, STAR PROGETTI has been a market leader in the design and production of infrared heaters and modular windbreaks. 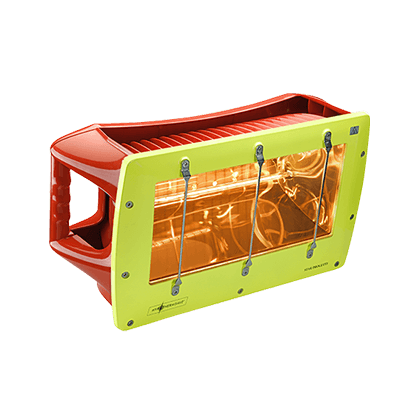 With decades of experience in research and application of infrared technology, STAR PROGETTI is able to develop infrared heaters that offer maximum heat efficiency.